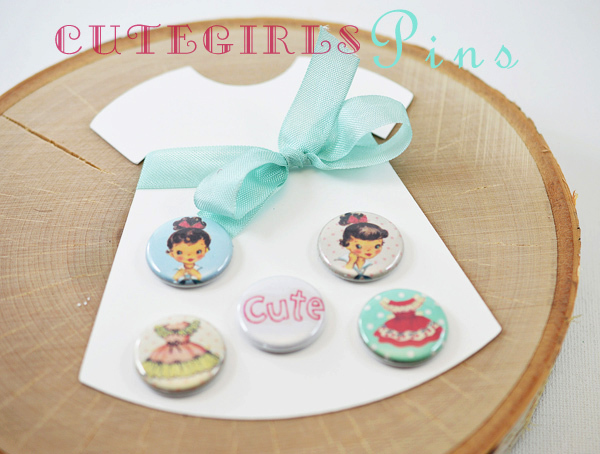 Lori Hairston: Cute, Cute Pinbacks! Adorable creations Lori, those pins are superb! Such sweet images! Super duper find in the bins Lori and WOWZERS do I love your buttons! Making that dress to display them on is SO stinking cute!! Love the Easter buttons too. Your talent and creativity knows no bounds. You have the best eye for cuteness! 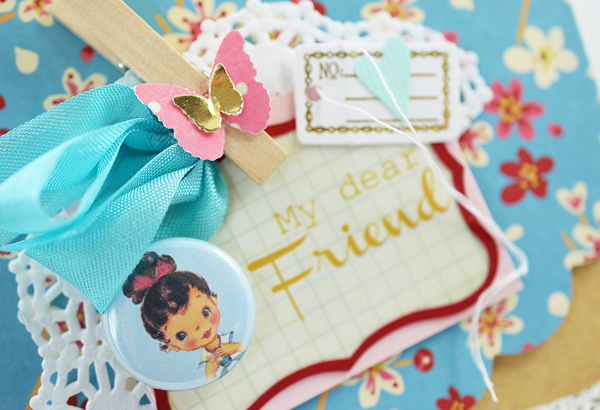 so totally sweet and i LOVE that flair.. 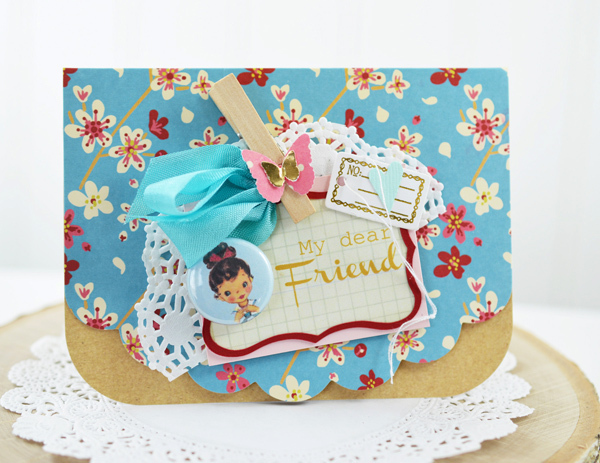 So darn sweet my friend. Don't mean to be obtuse but what kind of pin machine did you buy? 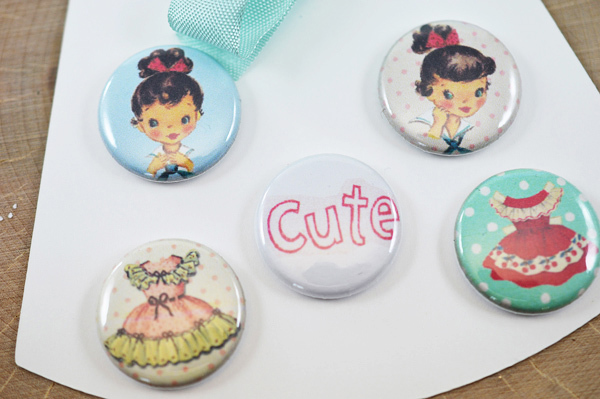 Your pins are so adorable, where do you find all your images? Love them all. Those would be so cute to have for kids at parties and many other situations. What kind of paper do you use to print your images on? Love this idea. Think I must spend more in those darned tempting bins than I do on other things, like craft supplies. Gotten so I hit those bins when I first enter store to get it over with. Sure do find some super cute things but liked it more when the price was $1.00. Couple weeks ago some things were 75 cents, not all, just some. 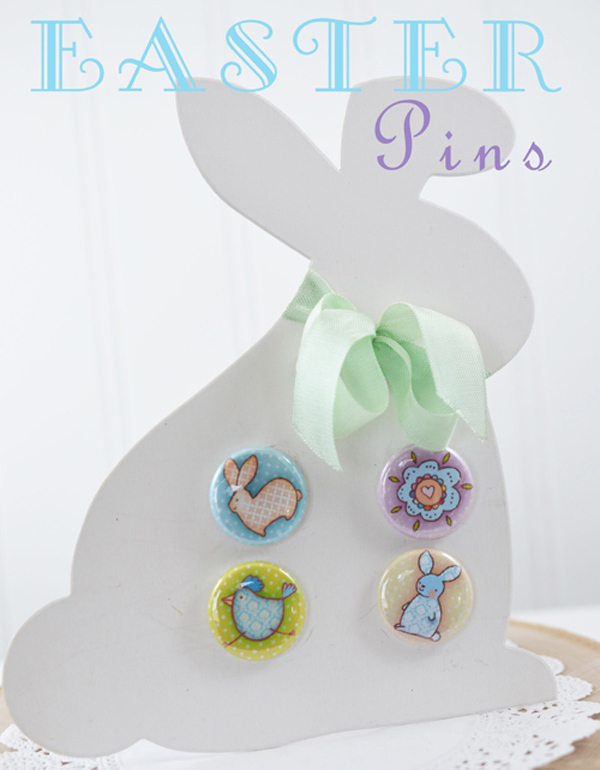 Love those pins and all the pins on the bunny...too CUTE!